This was Bob Cassidy's first publication and appeared in 1977 as the second supplement to Invocation. You will find a great photo of a very young Bob Cassidy from 1973. The ebook is a reflection of who Bob was way back then. It contains the seeds of the ideas that gradually evolved into the act he presents today. 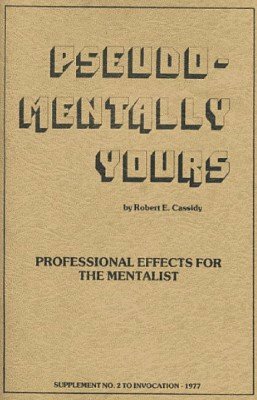 A real treat for all Cassidy fans and anybody interested in mentalism. 1st edition 1977; 22 pages.